You are currently browsing articles tagged literature. Jessie Ann Foley’s The Carnival at Bray is an award-winning young-adult novel set in Ireland during 1993, when grunge played on every teenager’s Walkman. Maggie Lynch is a sixteen-year-old girl in Chicago, growing up working class amid hard-working and hard-partying Irish-American stock. When her mother falls in love with an Irish guy, the family moves to Ireland, to the seaside town of Bray, south of Dublin, where Maggie and her younger sister, Ronnie, try to find their place in a new culture. Life is not all roses for Maggie, however. The family don’t have much money, she’s beginning to understand that her beloved musician uncle is a drug addict, and her mother falls in an out of love with regularity, so Maggie suspects they’ll be back in Chicago before she can blink. But, against her expectations, Maggie begins to feel at home in Ireland. She soon acquires a boyfriend, a surrogate father figure, and a sense of herself. It’s one of those brief periods in your teens when you start to think you might be figuring life out — before fate dumps on you. Rock music is Maggie’s crutch, her refuge. She listens to Pearl Jam and Nirvana over and over, and considers her musician uncle, Kevin a wise sage. Kevin takes her to see Smashing Pumpkins, urges her to go see Nirvana live, and generally makes life seem exciting and vital. Kevin however has his demons. Still living with his mother, he drifts from bar band to bar band, never accomplishing much, and not fighting very hard against a serious drug addiction. Kevin inspires Maggie to embark on a crazy trip to Italy to see Nirvana play on their 1993 world tour, so she basically runs away from home with her boyfriend, Eoin. Naturally, many things do not go according to plan. In a sense, this is a classic quest novel, wherein our heroine must make a journey in which she grows and learns much about herself. In another, it’s a coming-of-age story where the protagonist discovers what she cares about and how she wants to be in the world. And, of course it’s an illuminating fish-out-of-water tale of a big-city girl moving to a small Irish town where everybody knows everybody, and all their relatives back through the generations. I came across The Carnival at Bray randomly at my local library. Though I work in the book trade, I had not heard of this novel and was intrigued by the premise: an American teen moves to Ireland with her family in 1993, during the heyday of grunge and the birth of generation X. I lived in Ireland during those years — although I was a little older — loved that music, and frequently wonder how my teenagers might handle life in Ireland if we moved back before they’ve grown. I don’t often get the chance to read a novel I genuinely know nothing about, as I’m too close to the hype machine in my work. So, I checked it out, and am very glad I did. The author, Jessie Ann Foley, is from Chicago, and is married to an Irishman, so she is able to write about Ireland with both an outsider’s perspective and local knowledge. She understands what it was to love music as a teenager, to live and die in your CD collection, and she visceral thrill of seeing your heros perform live. There’s a real authenticity to the writing that I feel contemporary teens would be able to relate to. Of course, I loved the same bands and lived in Dublin during the period the novel is set, so I’m biased. I remember seeing Nirvana live, I remember where I was when I heard Kurt Cobain was dead, and I remember people gathering in the Phoenix Park and elsewhere to mourn him — all of which take place in this novel. The Carnival at Bray is more than just a coming-of-age story, it’s a hymn to the vital importance of rock music during the teenage years, a poem about the joy of finding your tribe or at least a kindred spirit. It’s about taking chances and learning that a few bad decisions won’t kill you. And, is one of those occasional novels that I feel both young and adult readers will enjoy. Other powerful young-adult novels (by Irish authors) I’ve read or reviewed recently include Louise O’Neill’s Only Ever Yours (review) and Sarah Bannan’s Weightless. It’s a wonderful thing to wake up, make a cup of tea and devote your morning to an engrossing book without a thought to the dishes in the sink or other household chores. I had such an opportunity over the July 4th weekend, and devoured Nuala O’Connor’s brilliant novel Miss Emily. What if alcoholism was a competitive sport? How would the professional drinkers differ from small-town drunks? That’s the provocative premise of Belfast novelist Jason Johnson’s new comic novel Sinker. As we enter the “decade of centenaries” that marks 100 years since many of the founding events of the Irish Republic, a whole slew of books focusing on the revolution and subsequent civil war are being published. 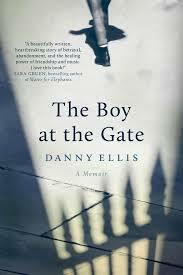 Musician Danny Ellis’s memoir of growing up in Ireland’s notorious Artane Industrial School, The Boy at the Gate, is a triumph of forgiveness over bitterness. Ciarán Collins’ debut novel, The Gamal, won the 2013 Rooney Prize for Irish Literature. It’s one of the most-impressive debut novels in years. Nuala Ní Chonchúir excels at the difficult form of short fiction known as flash fiction. Her new book is a collection of these ultra-short pieces, Of Dublin and Other Fictions. 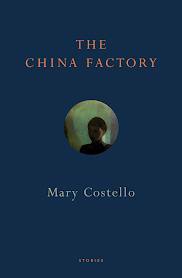 Colm Tóibín’s novel The Testament of Mary has not only been transformed into a Broadway play, but it’s been short-listed for the 2013 Booker Prize as well. The Testament of Mary promises much, but delivers less than hoped. While this revisionist portrayal of Mary as an angry, grieving mother, full of believable despair and rage at the cruel fate of her son, and anger at the inadequacy of his followers and their craven attempt to recast his life into something it was not through their gospels, is a welcome and overdue antidote to centuries of empty religious iconography, it’s an inconsistent portrait. Belinda McKeon’s debut novel Solace won the Geoffrey Faber Memorial Prize and was the Irish Book of the Year for 2011. I first read it in Ireland during a visit home — where it was displayed prominently alongside the big names in supermarket book displays, a reflection of its popularity — and loved it. On rereading, Solace proved even better, richer and more nuanced. At its core, like all great fiction, Solace is a family story, a tale of disfunction and inter-generational misunderstanding. Mark Casey is a graduate student in literature at Trinity College in Dublin; approaching thirty, he teaches dull undergrads and has grown bored by his dissertation subject. He needs a kick in the pants, and his father is all too willing to give him one. Mark’s father, Tom Casey, is a small farmer from Co. Longford; a practical man, he struggles to accept Mark’s seemingly never-ending student life. Constantly badgering his son to come down to the farm to help him with the “real work” of running the place. Mark’s mother, Maura, runs interference between them and keeps the peace. It’s a family dynamic that will be familiar to anybody who ever left their hometown or resisted joining a family business. In the novel, Mark’s life is jolted from his comfortable rut by Joanne, a trainee solicitor he meets in a dingy pub. Before they have time to fall in love properly, she is pregnant, and they’re setting up home together and learning how to raise a baby. Joanne has her own issues with parental pressure and expectation, but it’s the story of Mark and his father, that dominates this novel — although their passive-aggressive arguments, quintessentially Irish, may seem alien to readers from other backgrounds. Solace is a book about home, and the inevitable struggle to escape it and to define yourself in your own terms; but, McKeon knows that the struggle is at best illusory, and eventually we have to reconcile ourselves with that home. The fight is not so much to escape it, but to come to terms with it. Solace also captures an interesting point in Irish life: it takes place as the economic boom was at its peak, and ends just as everyone was waking up to the bust. The main characters in Solace, students and small farmers, were not reaping the benefits of the Celtic Tiger, nor do they initially notice the bust making much difference to their lives. But they display a reticence about the stability of the good times that perhaps many felt during those years, but did not articulate. In the pub one night Tom Casey reflects that nobody wants to reminisce about the old days: “There were things nobody thanked you for reminding them of. There were years that had slipped so far into the past that it was better not to mention them…. they acted now as though they had been happy in a way that they would never be happy again.” This in the middle of an unprecedented economic boom! In passing, McKeon seems to sketch a pub full of people who should be on top of the world, but who harbor this unmentioned dread. The old refrain of things being better in the old days feels completely out of place among the triumphalism of land exchanging hands for millions, houses going up like they were made of Lego, and everyone spending like there was no tomorrow. But it remained in people’s mind, unsaid perhaps, but present. Mark’s mother Maura reflects that other parents have the same experience of their children not visiting enough, only those children’s distance was ostensibly because of their high-pressure jobs, their new financial success, rather than because they were working fitfully on a dissertation and avoiding their father. She sees the trappings of these children’s material success, fancy suits, big cars, foreign holidays, but wonders uneasily if “she should want those things for Mark, whether she should feel disappointed in him for not having them”? Again, the rural perspective in Solace reflects a distrust (but perhaps it’s only the typical Irish melancholy) of the flashy new world, coupled with the outsider’s feeling of powerlessness — who were they to articulate their doubts in the face of the official narrative of prosperity? Towards the end of the novel, Tom Casey is prevailed upon to make a very unsound investment, and you realize that McKeon has been slowly sowing the seeds of a financial enmity throughout the book. Tom has been a small farmer all his life, instinctively distrustful of financial institutions and big talk. Now — like Jude in Julian Gough’s recent novella “Crash” — the steady Celtic Tiger drum beat of investment and prosperity has slipped under his skin, and he makes a poor decision. It’s a decision that forces Mark to grow up once more, a decision that makes him realize his father is aging, and the push-pull of the parent-child relationship has shifted, perhaps irrevocably. McKeon is excellent at writing Irish men, particularly older men. Both Mark and Tom are alive and fairly leap off the page — even though Mark can be a frustratingly passive character, rent with indecision and content to bumble along in his laddish ways. To be fair, Mark is a very representative example of the twenty-something Irish male singleton, and the passivity is not so much a lack of imagination on the author’s part, but an accurate reflection of her source material. Children in Ireland are taught early on that it’s not good to stand out, not advisable to go first, or risk failure. Mark is a typical clever plodder, trusting to slow work and fulfillment of basic expectations to take him inoffensively to where he hopes to end up. Tom is wise in practical ways, reflective if not expressive, and can be wryly humorous, but his outlook is curtailed by the limits of his experience. Solace is a book that haunts the reader in its assured power. It demonstrates the raw emotions and fierce clashes that are played out under the surface when families gather, and captures the way that youth is an essential process of fleeing from then returning to a family with clarity, nuance, and understanding. I have a feeling that Solace is a book I will delve into again and again over the years.